Ambush in your London apartment at 221b Baker Street. 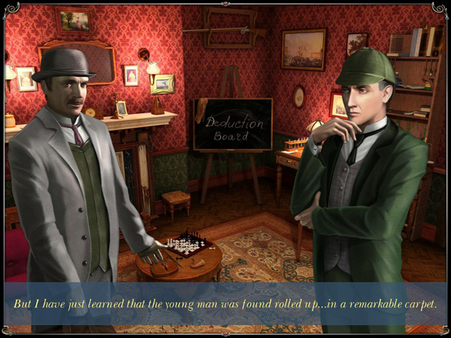 It´s 1896, Scotland Yard once again asks Sherlock Holmes for help in investigating the murder of almost hopeless. The young artist was found dead and wrapped in an expensive Persian rug. 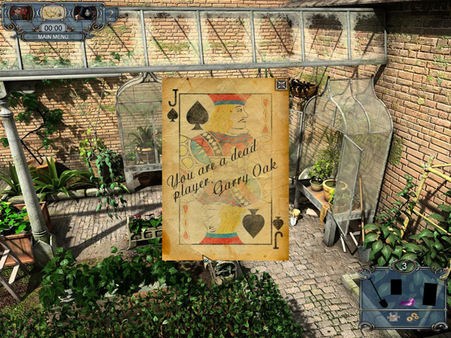 Along with Watson, you must investigate a crime, to examine crime scenes in search of the missing tips. 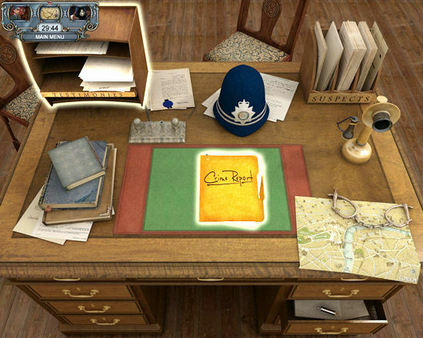 Interrogate suspects, analyze police reports and witness statements to solve the mystery of the Persian Carpet!